This is so precious Katie! How sweet of you to make one of your students a Birthday Card. Great way to make them feel special. your Card is so Cute! I love using Images from different cartridges. Glad I stopped by. Happy Day to You! Ok-normally snakes creep me out!! This one is a cutie though! Katie ... I absolutely love your card and appreciate the inspiration using some older Cricut cartridges. I do have one question. How do you know how to size the different pieces using three different cartridges? 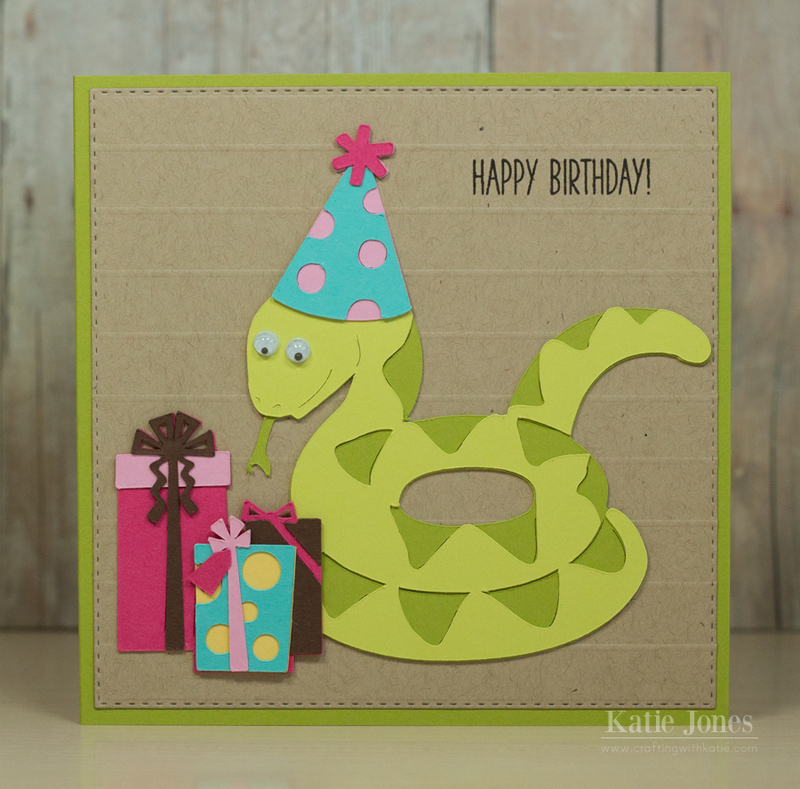 I'd appreciate any help and information regarding the sizes you used to create this cute and clever card! Your students are so lucky to get the sweet cards you make for them. Cricut does have some super cute cuts. Katie ~ Oh my how SWEET is this card? ?VERY sweet! I bet your student LOVED this card! Such fun colors too!